I have a mild obsession with pie dough. Once I started to make (and modify) Cook’s Illustrated’s Foolproof Pie Dough in 2007, I realized that it is not only about a million times better than store bought crust, it takes about 8 minutes of active time. There is no downside. If you have never made pie dough, do it. Seriously, seriously, DO IT. If you are going to go through all of the trouble to make a pie, don’t even think about debasing it with a store bought crust. I started writing for Honest Cooking this week. My first article is about the science behind pie dough. How the exact same ingredients can give you such different results and how I pledge my baking allegiance to Foolproof pie dough. For that article I wrote about the Cooks Illustrated version. For this post, I will give you my slight variation on that recipe. 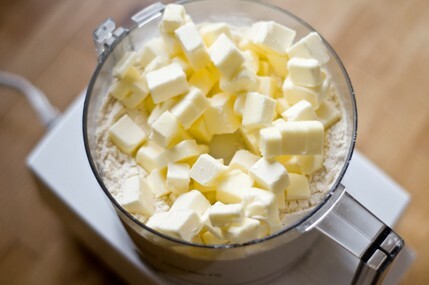 Combine 2 cups of flour, salt, and sugar in a food processor, pulse a few times until its combined. Add the butter and the shortening and process until it forms a ball around the blade, about 2 minutes. Move to a bowl and add the water and the vodka, combine with a spatula or wooden spoon. Combining the liquid in the food process will destroy the effects of the vodka, and your hands may warm the fats too much. 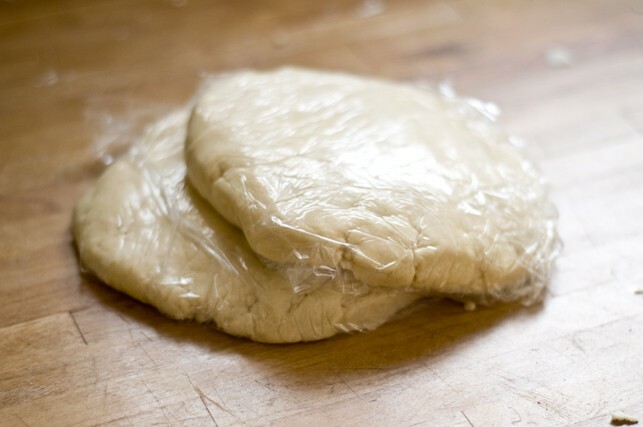 The dough will be very moist, but if it is too moist to stay together, add a little more flour. Split into two equal sized portions and form into disks. Wrap the disks in plastic wrap and chill until very firm, about two hours. 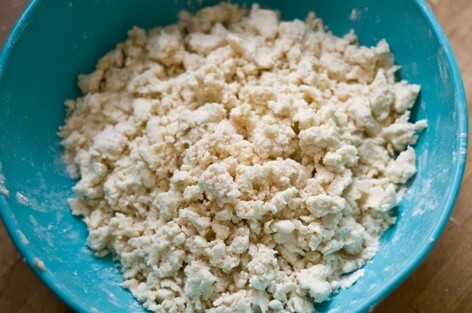 Because this dough is so soft, it is very important for the pie dough to be very cold and very firm. 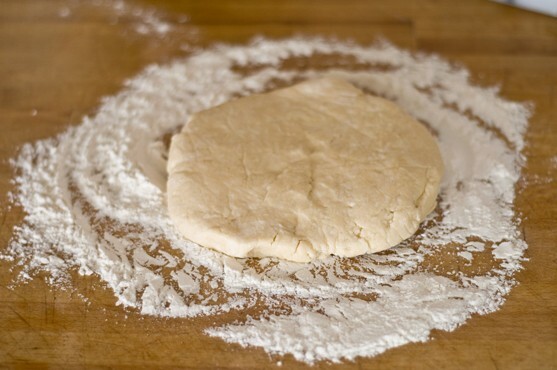 On a very well floured surface, place one of the disks, add flour to the top of the disk as well. Roll out into an even thickness. Marble rolling pins are very cold and don’t disrupt the fat inside the dough, making them an excellent choice for rolling pie dough. When you place your dough in the fridge to chill, add your marble rolling pin as well, allowing it to chill. This recipe is very soft and will fall apart while being rolled. 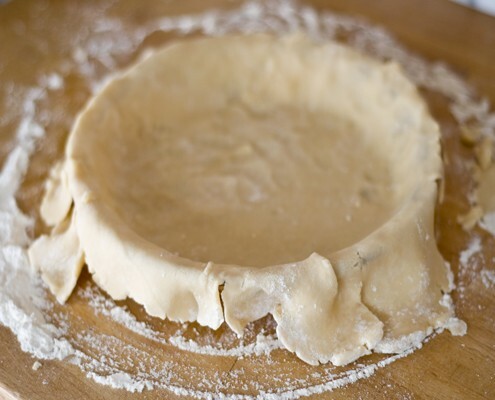 Although some people like to use the rolling pin to assist with moving the dough from rolling surface to pie pan, it tends to fall apart too easily with this method. The easiest way is to fold the dough circle in half, then in half again, forming a triangle. 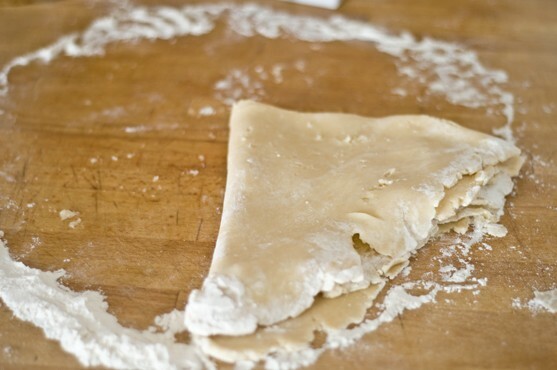 Place the point of the triangle in the center of the pie plate and unfold the dough. Trim the dough, leaving a half-inch overhang past the edge of the pie pan. 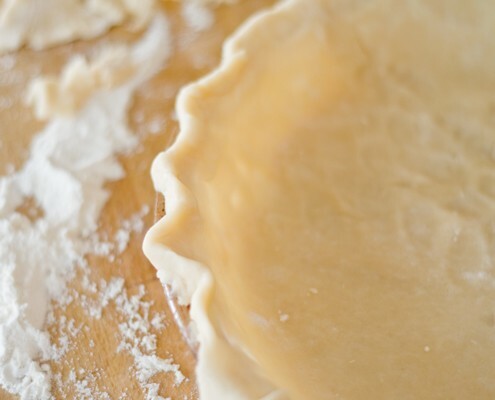 Form a fluted edge around the top of the pie crust. If you want to bake this before it’s filled, prick several holes in the bottom with a fork. Line the inside with parchment paper and fill with pie weights or dried beans. Bake at 375. This crust can also be filled and baked immediately, whichever your recipe calls for. Congrats on your new gig. I’ve heard about adding the vodka before but never tried it. I will give it a go the next time I made a pie. We share an obsession. So funny I have been meaning to make Michael a pie and have been thinking I had not found a recipe I loved. I am so excited to try yours. Your blog is so lovely and amazing just like you! Also what does the vodka add to the dough? It makes one double crust pie. If you want to just make one crust then make a half recipe. The vodka cooks off completely, unlike water, so it makes the crust really flaky but not dry.